Trust me – you need Facebook ads for your organisation. Facebook is without a doubt one of the most effective forms of advertising and marketing. Worldwide, there are over 2.2 billion monthly active Facebook users, making it the most successful and popular form of social media advertising. People spend, on average, 30% of their online time on social media, with the average time being spent on Facebook nearing an hour each day. With a market such as this at your disposal, can you really afford not to use it? CTO has now created a Facebook Ads Checklist to make sure you get your important Facebook marketing tasks done. Facebook can be distracting and you need to remember when you are on Facebook, that you are there to market your organisation. 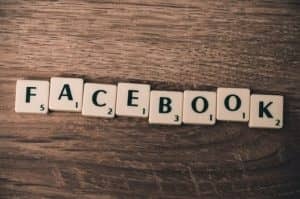 There are now a wide range of options available when it comes to Facebook advertising campaigns, so you need to decide on your goals before you start your campaigns. What are you looking to achieve? It may be clicks to your website, conversions, likes, content exposure or brand awareness. Keep the end result in mind when you plan your campaign. A huge 90% of people using Facebook use a hand-held device such as a mobile phone or tablet. So be sure to keep your content mobile friendly. Follow this checklist to bring a percentage of the huge amount of traffic that is on Facebook every day, to your site. What makes you stand out? What makes you different? Why should customers buy your product or service? Is it clear and measurable? Consider your message. Is there a clear message that you want to get through to your audience? Does this message stand out in your ad? Who is your message for? You can save each of your advertising campaigns in Facebook, so it’s wise to use a campaign name which explains at a glance what is is. Use the month and the year in the filename. For example: Book sales – July 2018. Combine your text in different ways and test the ads to find out which type of ads get the most likes, clicks and sales. Test your Facebook ads in different age groups, locations, and interest groups. There are many different types of Facebook ads, so it’s important to use the right ad type to match your desired campaign goals. Ensure that your advertising budget is made clear to your team members who are involved in the campaign. Take the cost of the testing phase into account. Decide how much you will pay per click. The higher the price the more clicks you will receive. Choose from cost per click (CPC) and cost per thousand impressions (CPM). Divide every ad set into different audiences messages and pricing structures. All names on your ad sets need to be different and they should define the content. Make sure that the content is written to best suit your target audiences. Facebook changes ad settings periodically, so ensure you have checked them before you upload your ad. To gain a slice of the market of more than 2.2 billion users who are on Facebook every month, ensure you cover all 15 points on the Facebook Ads checklist each time you plan a new campaign. You can also improve your current Facebook marketing skills with CTO’s Facebook Ads for Business Training. Click here to book your onsite, customised training – and have an ad campaign up by the end of the day! Corporate Training Options is a Business Education Training Company, which provides customised Professional Development & Business Technology courses Australia-wide. The courses provide a cost-effective way of ensuring you and your staff are presenting your best image to the world. CTO’s Facebook Ads for Business training course is customised to meet your requirements, and your training is provided on-site, on dates which suit you.